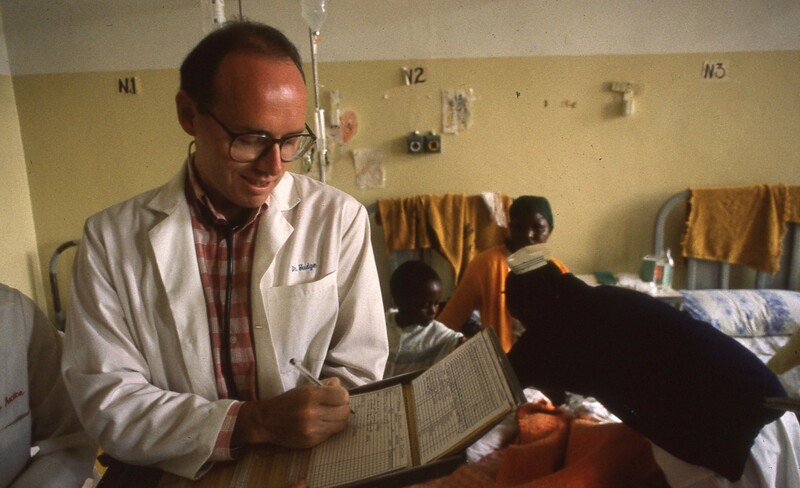 This story introduced my husband Jim to many African realities in the early 90’s…the story of this AIDS crisis came from an opportunistic disease that takes the lives of so many young vibrant Africans. From a year’s worth of experiences like these, understanding took hold in our minds and hearts. 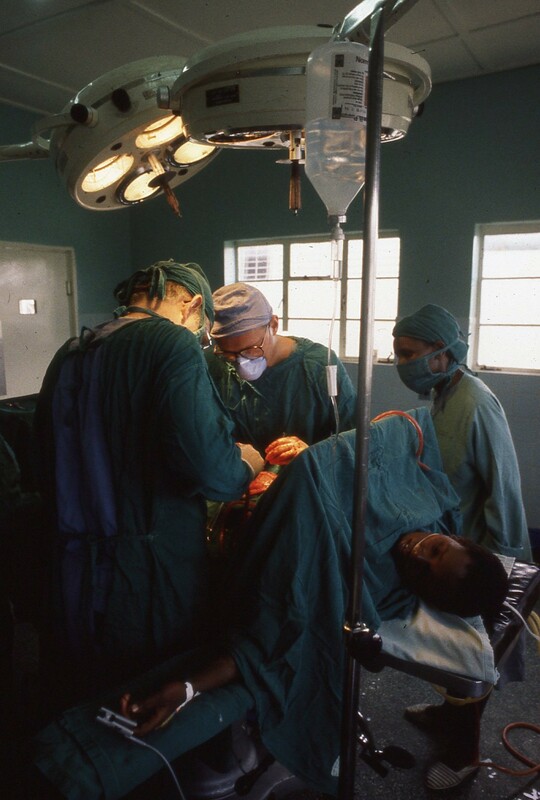 Passion developed that year and for the next 23 years…we have been called to ministry in Africa, called to teach AIDS prevention messages, called to serve widows and orphans in the center of the world’s AIDS pandemic, Africa. Dr. Judge, you are needed in the emergency department. There is a patient there”. The message was delivered with the same intonation one might use to convey any routine piece of information, like the day will be seventy-two and sunny, or the trash needs to be emptied. Over the next several months, I learned there were certain code words I needed to listen for. A patient who “might need some sutures” usually had a laceration three inches deep and ten inches long. A patient who “was having trouble breathing” had already been dead for about an hour. The code word here was, “You are needed—” which I would come to understand meant, “We’ve got a big problem.” The worker just stood there after delivering the message, which I took as my clue to get moving. I finished up quickly with the older lady I was seeing and then followed the worker to the emergency ward located about fifty feet down the hall. There, lying on her side on a gurney, working very hard to breathe between spasms of coughing, was a woman in her twenties. There were beads of sweat pouring over her face despite the tomblike cold of the hospital. Each new spasm of coughing convulsed her whole body and ended in a violent eruption of saliva and mucous. As I approached, she gave me a quick, almost cautionary look, as if she was trying to warn me of something, without diverting her central attention from the essential task at hand, her next breath. She wore a tattered cardigan sweater over a worn dress, and her cheap plastic shoes were caked heavily with the red Kenyan mud. The worker in the emergency room told me that, while waiting to be seen, she had collapsed. Her eyes were wild, a look I recognized as air hunger, and as I placed my stethoscope on her hot back I knew why. Everywhere I listened, with each breath came the crackling sound one might hear if you were crinkling cellophane. There was no part of her chest that was not full of it. She had an overwhelming pneumonia. I continued my exam and quickly discovered there was something more. She was, at least by size, approximately seven months pregnant. I asked the dispenser for a Doppler device so I could hear the baby’s heartbeat. It was there, but much faster than it was supposed to be—the child was sharing in the mother’s distress. The young woman was very thin and wasted, as if she hadn’t eaten in a long time. Her arms were delicate and there was no tone to her flesh, almost like she was ninety years old. As I pondered all this, someone from the lab came in with results of some tests that were ordered earlier by the outpatient dispenser. Her white-blood-cell count was very high, reflecting the severity of her infection. She also was significantly anemic. The final test result stopped me in my tracks. It was her HIV test. It was positive. Hope began to drain away. Any help we could provide would be, at best, temporary. We might be able to treat her current infection, maybe long enough to get her delivered. The statistical likelihood that the baby was also HIV-positive was about one in three. Frankly, in Africa, those aren’t bad odds. Odds we would have to take. I noticed, with the result of her HIV test, came a subtle change in the Kenyan workers’ attitudes toward her. Some element of reserve began to seep into their demeanor, some need to hold her at arm’s length. Maybe it was nothing more than self-protection. Compassion costs, and in a world where death is a daily reality, a world not laboring under the myth that everyone lives forever, compassion becomes a commodity that needs to be spent with care. The young woman’s story began to unfold. This was my first lesson in how much Africans have to teach us about obtaining a medical history. I think it comes from their holistic perspective on life, a perspective often lacking in the more developed world. To ask questions of someone only about their symptoms would be considered rude and incomplete. A routine medical history would always include inquiries about where patients came from and their families, what kind of work they did, and how they were feeling in general. In other words, about their whole lives. This patient was a schoolteacher from a small hamlet several hours away. She had been engaged. 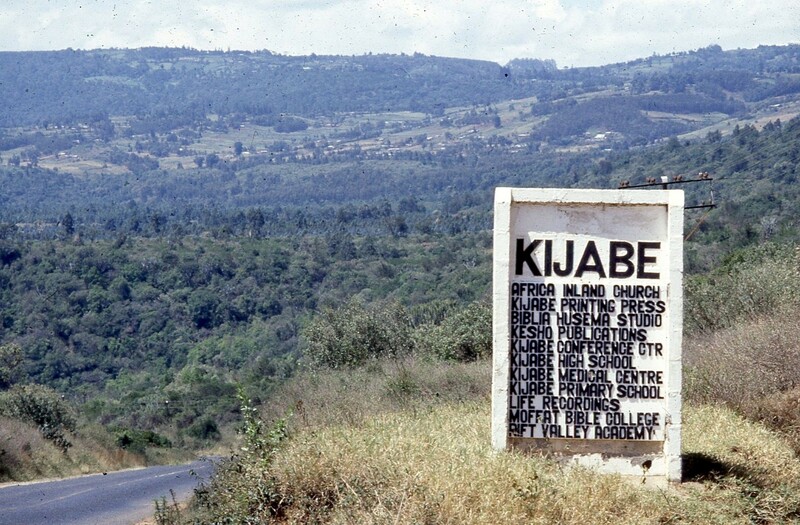 Her fiancé was a truck driver, a high-risk occupation in Kenya even before the AIDS epidemic, between bandits and road conditions and the chronic disrepair of vehicles. After the AIDS epidemic hit, the life expectancy of truck drivers went down one more notch because of the common association of prostitution with truck stops. At that point in time, prostitutes in Nairobi had already been documented as averaging over 90 percent HIV-positive. Truck drivers were running almost 70 percent positive. 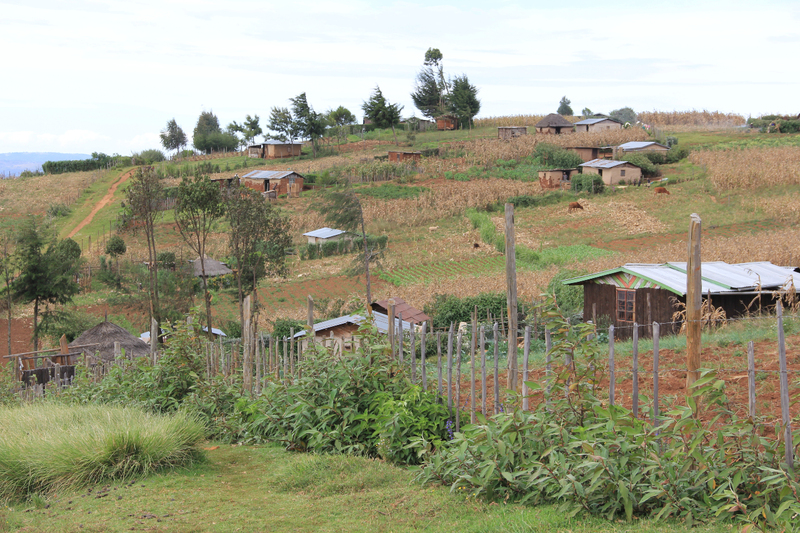 Because of the different strain of HIV present in Africa and factors like poor nutrition, AIDS is a different, even more aggressive illness there. Her fiancé had died several months earlier, and soon after his death, she had become ill. She was unaccompanied by any family, which meant she had likely experienced rejection on all levels. 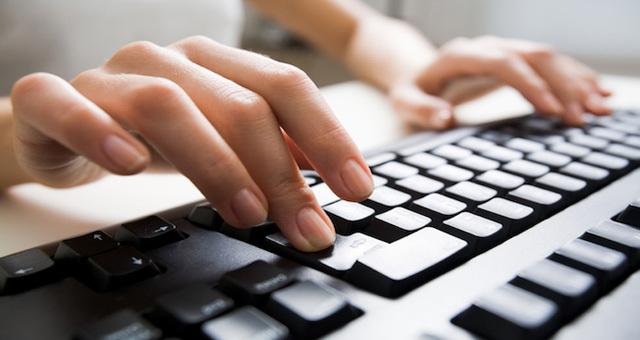 I grasped her hand as I started to work through the interpreter, and she almost recoiled. It was apparent it had been a long time since any other human had touched her. Her hand was cold and damp, but eventually she began to relax and grasp me back. I looked at her intently, working the language through my interpreter. “Tell her she has an infection in her lungs that is very serious.” A string of foreign words echoed mine, in a tone less compassionate than I would have hoped for. “Tell her that we will need to start an IV to give her some strong medicine to treat the infection.” The nurse interpreted and the young teacher nodded. “Tell her we will need for her to stay in the hospital for a while.” A deep sense of relief flooded over her and a weak smile. “Tell her—tell her that her baby’s heartbeat is strong.” It was partial information, partially true. I couldn’t bring myself to place any more on her than she was already carrying. We were just finishing up the day in the clinic when a knock at the door came. You are needed in the woman’s ward…the patient with pneumonia has delivered her child. It was a tiny little girl. She was cold. I felt for a pulse but there was none. A resuscitation would serve no purpose. I then turned to the mother and found her also to be without any heartbeat, any respirations. I leaned down and slowly turned off the valve on the oxygen tank. The nurse told me that just moments after delivering the dead child, the mother had simply closed her eyes and stopped breathing. It was as if as soon as she knew there was no further hope for her child, she had permission to do what she had been working at doing for the last several months—die…. “What was the point,” was the question pounding in my own head as I walked down the hall to the utility closet to wash up. What had we done for her? As I scrubbed my hands with the gritty Kenyan soap, I recalled a story I had read about Mother Teresa. She was being interviewed by a Canadian TV talk-show host, a shallow, provocative man. He asked her this question: “What real good are you doing? These people who come to you. These people you find in the gutters and the streets, you bring them to your hospital and they die. “What’s the point?” Mother Teresa looked at him intently, burning through his shameful facade, and then after a heavy moment, in her thick Albanian accent, asked her own question: “Do not these people, who have lived their whole lives like dogs, deserve to die like angels?” She said nothing more. And neither did her interviewer. I thought about the young woman in the room I had just left. I thought about her in her clean gown, on her soft bed, in her large bright room. Under her warm blankets. And Mother Teresa’s words echoed in the back of my mind. To die like angels. Maybe sometimes, this was all we would be able to do. Maybe sometimes, this would have to be enough. I made my way down the stairs, out the back door of the hospital. The sun was beginning to set behind the western mountains off in the distance, and the wind was blowing at my back. I followed the path home, through the graveyard. Excerpts from Chapter 3…Judge, James (2001-09-10). 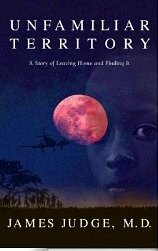 Unfamiliar Territory (Kindle Locations 644-645), Thomas Nelson, Kindle Edition. Posted by judge525 in What's up with that? Racism is a sensitive subject whenever and wherever it is approached. As an American Christian I am disappointed once again that we have not moved enough toward equality and understanding between races in this country. Since Ferguson and other racially complex events in the last few months, we should be asking if Christians are making a differnce in society? I ask myself the difficult question, Am I a racist? Every February during Black History Month, we baby-boomers relive some of our own history as we watch it portrayed on television. 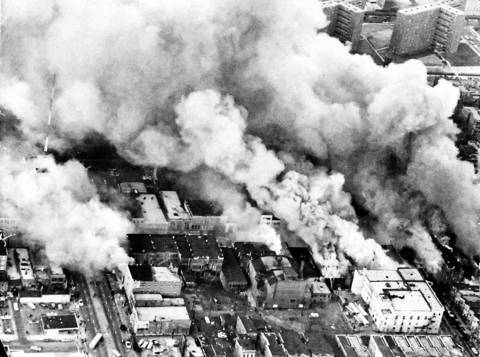 For me it is important to be reminded that I lived in Chicago during the riots after Martin Luther King was murdered. I lived through the marches and Jesse Jackson’s Rainbow Coalition. I worked with homeless mothers and children during my MBI years in the neighborhood that I now pass every visit to Chicago. These events sparked my own high school level social conscience and grew it into a more mature social awareness…just moving my awareness in incremental ways. I don’t want to ever stop growing in that understanding. I will add that this morning, in a classroom of 30-somethings at our church, we heard some honest reflection about discerning our social and spiritual conscience about racism. First, just to bring up the subject for open discussion is a very worthy effort. 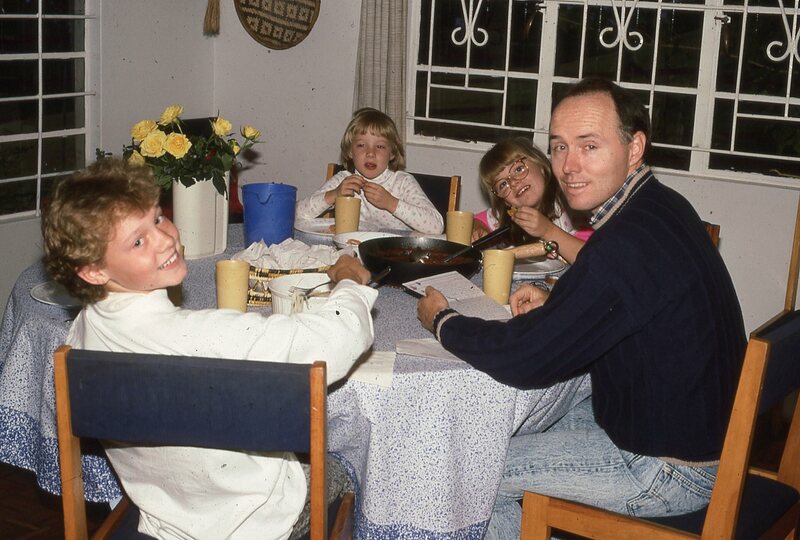 Second, the honesty of these GenX’ers is always refreshing, as statements were made like, “I didn’t know my parents were racists until my sister married an African.” and “I don’t know why but it doesn’t seem that this subject is as important to me as it is to others”. It was also shared that the level of our own personal racist attitudes are often hard to recognize since we live with such “white privilege”. We can be blind to where we are on the racist spectrum unless we unpack it and analyze it honestly and continue to educate ourselves with God’s perspective. The subject quickly moved to the importance of knowing what and how to talk about these sensitive subjects with children, (and as we realized, our grandchildren). It is true that conversations about race are important to initiate and so is what we don’t say…after all, we know as much is caught as taught. All of this great discussion with this class prompted a conversation afterward between my husband and I. Our own efforts back in the day with our daughters were around exposing them to the real world. Minorities were not far away. And though we did live in Africa for months at a time during their formative years, the dialogue still needed to happen. How to treat immigrants and refugees around us in our suburb and our schools was a subject to talk about. The city of Chicago afforded us ways to educate and experience life in black communities. We tried to instill the value of reaching out in Jesus’ name. 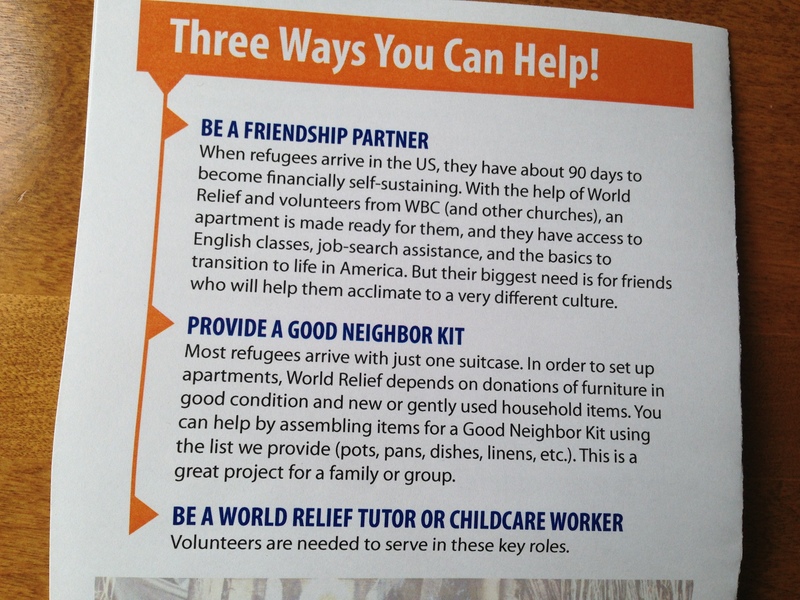 This morning our church also reminded us of how we can help welcome refugee families into our area. Being intentional is the key. Granted, one great divide is race, but it should be acknowledged that a greater divide is often based on the economic divide caused by poverty. Our prejudice is often aimed at those who are poor or under-resourced more than actual racial differences alone. Our resources can separate us more than the color of our skin. The solution starts with understanding, which usually moves us to compassion. Understanding comes by getting involved with someone who is from another race and/or lives in poverty. There are many who would say that there is NO other way. It is Jesus’ example. It changes our minds and our hearts. The most important foundational truth is that we are ALL made in God’s image. Imago Deo. We are all valued equally in God’s sight. We must treat each other as equals in every situation. This is God’s design for how we are to live as His followers. 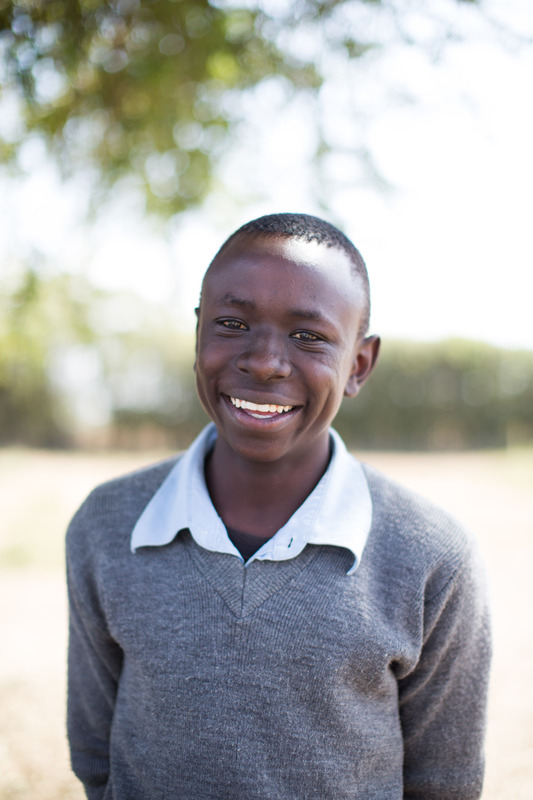 I want to introduce you to some of the 31 high school kids who have been nurtured and mentored at Hope for Life (HFL) Kenya. 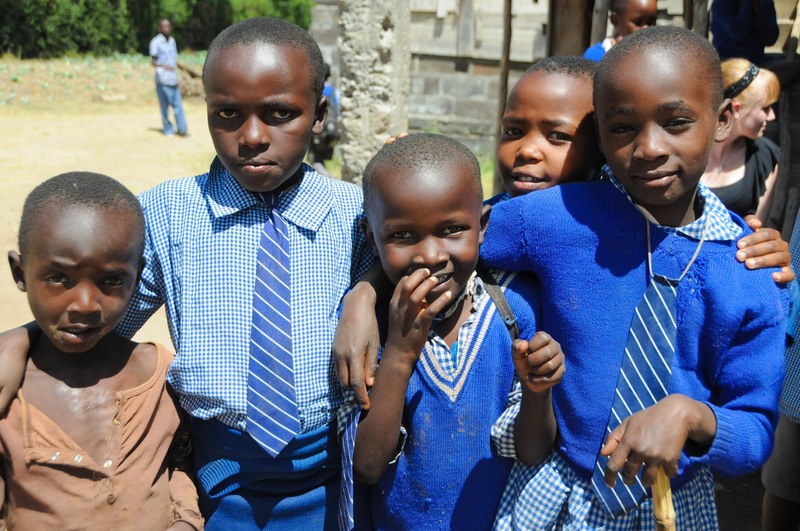 This Orphan Care ministry, (now a US not-for-profit under Faith and Learning and an NGO in Kenya) takes care of 150 kids. This ministry has grown since my church became involved in 2004 and I would say that Hope for Life has virtually raised this particular group of teenagers since they were elementary children. Here are some of the small children in 2007. It’s amazing what these children have lived through in their short lives. I’d like you to understand a bit about their situations. They have had to grow up very fast as they have come from homes where their mom or dad has passed away during their young years from HIV/AIDS. As most people are aware the AIDS crisis continues to devastate Africa. Let me share a few common facts about HIV/AIDS and how it affects a family. HIV (Human Immunodeficiency Virus) is a sexually transmitted infection. Promiscuity is a problem in Africa as it is everywhere. Yet the disease can also be spread by contact with infected blood or from mother to child during pregnancy, childbirth or breast-feeding. It can take years before HIV weakens the immune system to the point that one develops AIDS (Acquired Immunodeficiency Syndrome), which is a chronic and often life-threatening condition in Africa. Opportunistic diseases attack the HIV+ person’s weakened immune system. Soon the person is very sick from the virus. Though Antiretroviral (ARV) medicines and a healthy diet can stem the progress of the disease, they are often out of reach in Africa. So the children I will introduce you to have experienced a family life like none we have known in our culture in the US. The stresses of parents constantly being sick and unable to hold a job or care for/make meals for their children is the least of it. There are so many other stresses as people die, and extended families squabbling over a new knowledge of someone being diagnosed with HIV. The shame, stigma, and in-fighting makes day to day life miserable and often dangerous. I can say that this is a common experience with most of our Hope for Life kids. The HFL director, Josephine Kiarii intervenes in these circumstances and tries to make sure that the kids are in safe homes with new guardians or with extended family members. 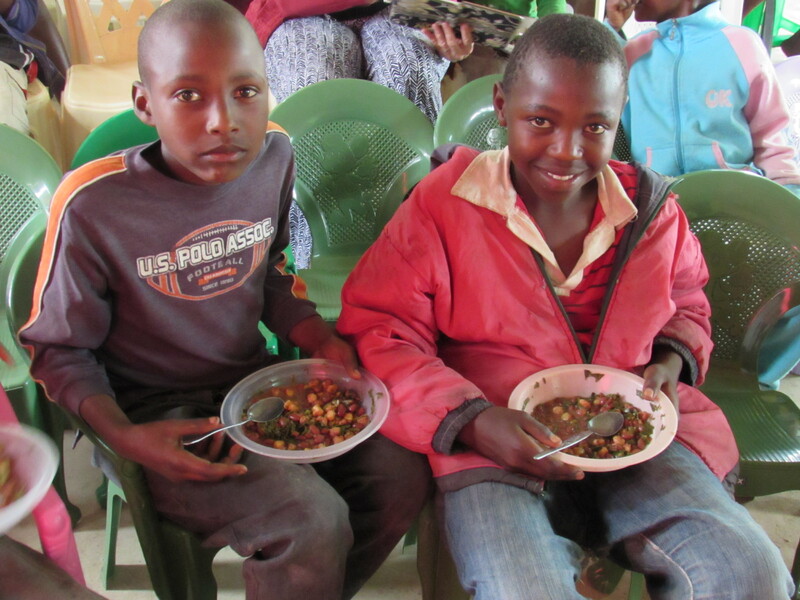 Josephine does not put them into an orphanage, as very few exist in Africa as there are a million AIDS orphans in Kenya. The commonly held “best practice” for care for AIDS orphans is a center like Hope for Life, often associated with a church or NGO. She brings these children into the center that was created just for them. 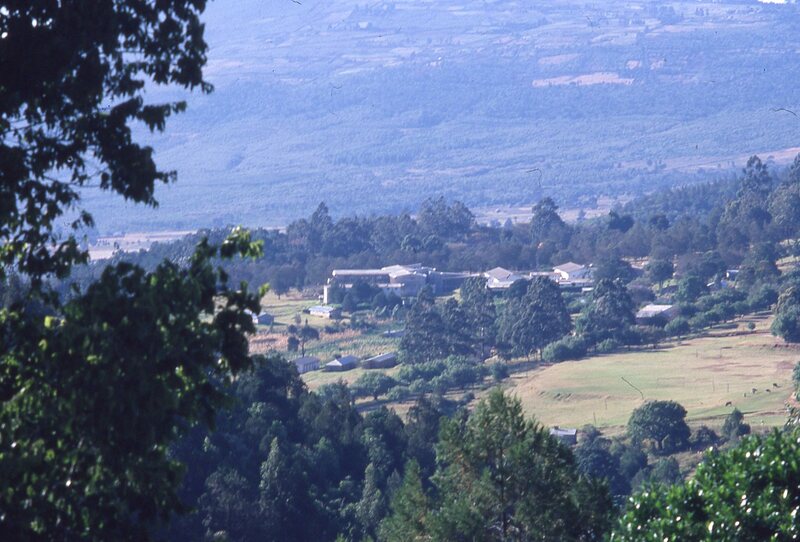 The loving care, the meals, the after-school tutoring, playground, music, and biblical teaching all come with the center. All of this nurturing has born huge benefits as most of the children have met Christ as their Savior and friend..
Now, 11 years later we have high schoolers, who came in their early grade school years, and are now responsible teenagers, old before their time, in many cases, who follow Christ and take spiritual leadership of the younger kids. They have done well in school, have been tutored in a vocation or a trade, and have been mentored by Josephine, her staff, and area pastors. 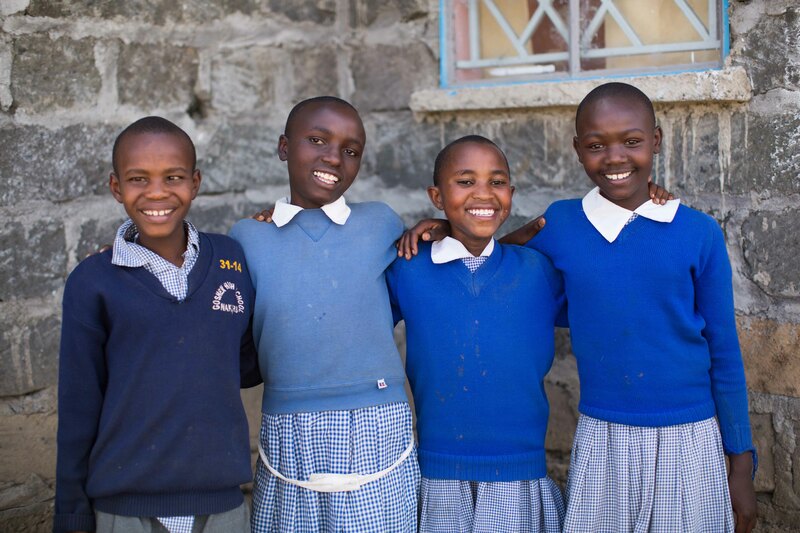 They have now been accepted into high school in early 2015 as they qualified by their school exam scores. All of these kids need our help. 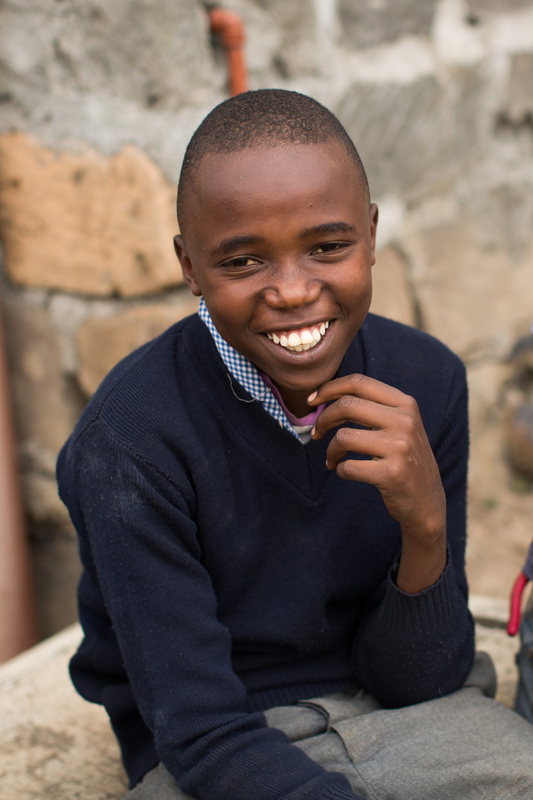 You can learn how to sponsor one of these kids for his/her high school years. I hope that you may find the compassion to consider $30 a month or more to support a high school student this year. The sum of $97 a month would sponsor one teen for the next two terms through December 2015. Click here to learn more and support a student. Let me introduce you to some of these kids over these next weeks. If you would like more information about any of them or would like to pray specifically for a student, please contact me. 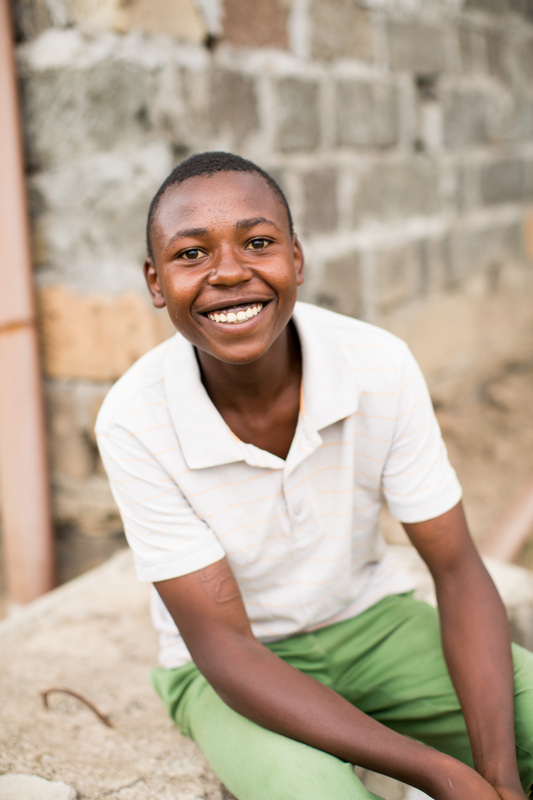 Joseph “Jose” and his 5 siblings are in the Hope for Life (HFL) program. 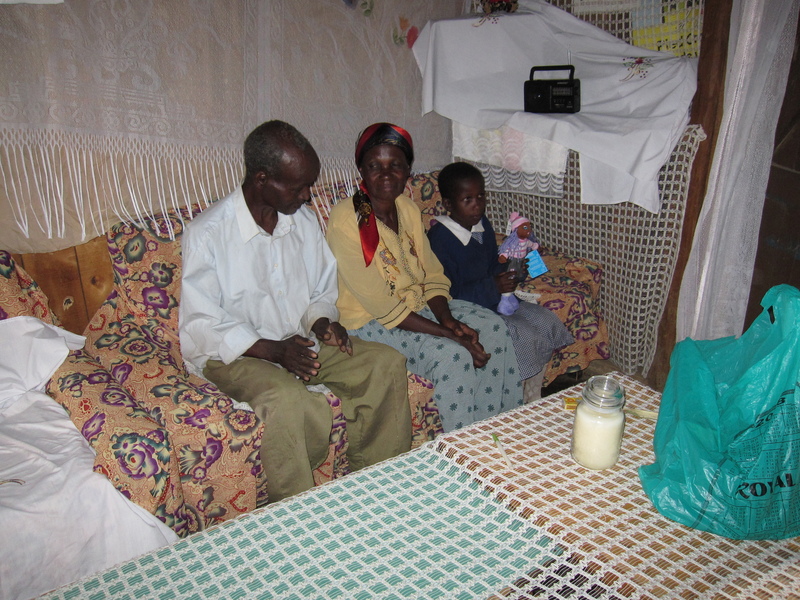 He is the “glue” in his family and his home life is not easy, as they often live in crisis. He is a strong servant leader both at Hope for Life and church. He initiates teaching Scripture to the boys at HFL. He particularly loves drama and poetry. Besides being the commander of the church young boy’s battalion, he enjoys “Gospel” dancing, a common Sunday morning program at Africa Inland Churches and he pitches in with church set up. 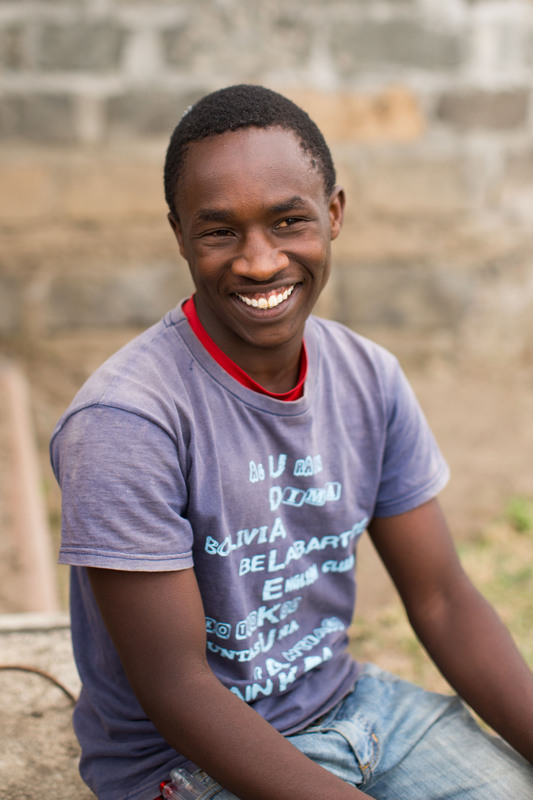 He is grateful to HFL for helping with his reading skills and the gifts of clothing through the years. He has started high school and his favorite subject is science. He wants to be a journalist and dreams of traveling to India someday. 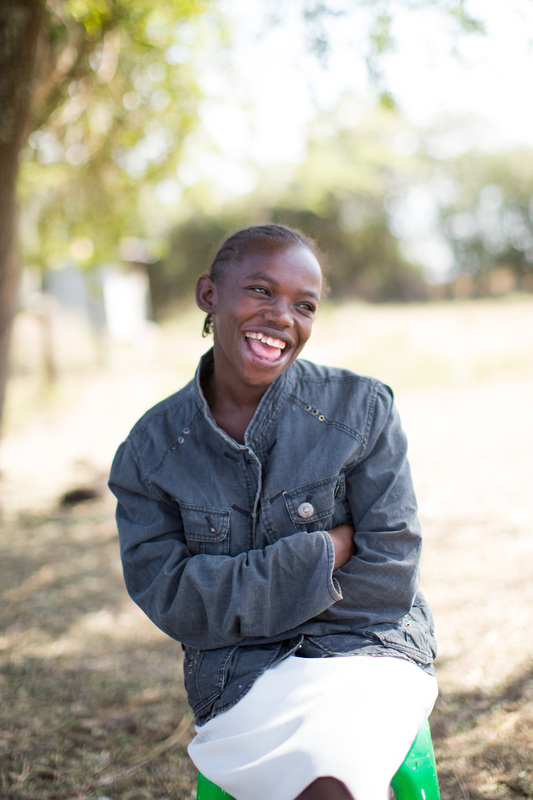 View the blog of this photographer for beautiful pictures of Hope for Life taken in January 2015. 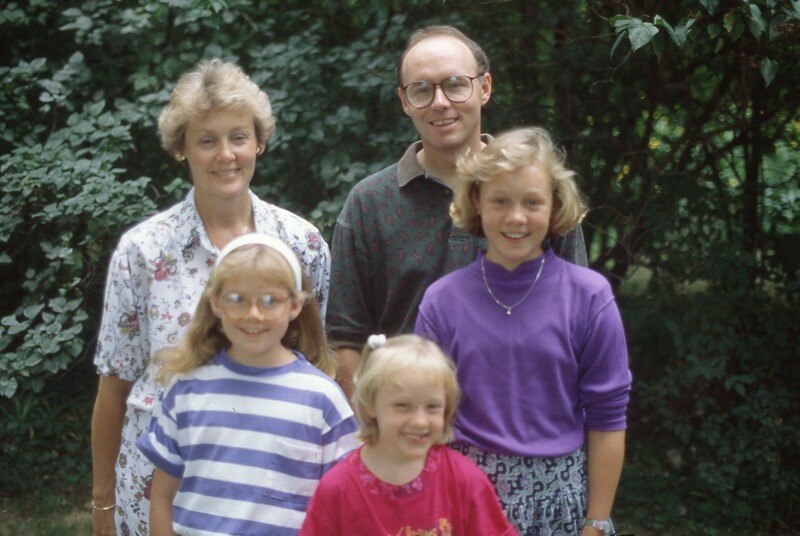 Throwback Thursday features my husband’s description of our family moving to Kenya for a year in 1990, from the Introduction to his book about that year, Unfamiliar Territory. It was only one year. From this side of it, it seems absurd to have wrestled with it as much as I did, but at the time, spending that year in that way seemed like a high-risk venture. It is only now, looking back ten (now, 25) years later, that I see just exactly what the risk really was. In reality, the greatest risk was that which comes of listening too carefully to common sense and making ordinary choices. A risk made all the more dangerous by the fact that it tends to masquerade as being no risk at all. The greatest risk we faced was that we might have said no and missed the year altogether. It was a year of living out of context. A year of living in unfamiliar territory, and something about being there, without the familiar props of our personal culture, distilled us down to our simple selves. Evenings that before had been jammed full of perfectly good things like work and Brownies and gymnastics and church, would give way to evenings filled with something even better—one another. The year would become the line running through the middle of our family’s life. It was time outside of time. A time that stripped us of all things familiar, leaving us holding to nothing else except the unshakable essence of three things: our essential love for one another, our most basic faith, and our own unspoken hopes. It was our time, it was a gift, and by it we would measure the rest of our days. Judge, James (2001). Introduction of Unfamiliar Territory (Kindle Locations 63-69). Thomas Nelson. Kindle Edition. Missionary women are just like us. Posted by judge525 in Missions Today, What's up with that? My friend and Thrive Director, Lorrie Lindgren (click above or www.thriveministries.org ) told me about some stats she uses when presenting the need to reach out to Christian workers around the globe. She found these statistics from Christianity Today and other sources. 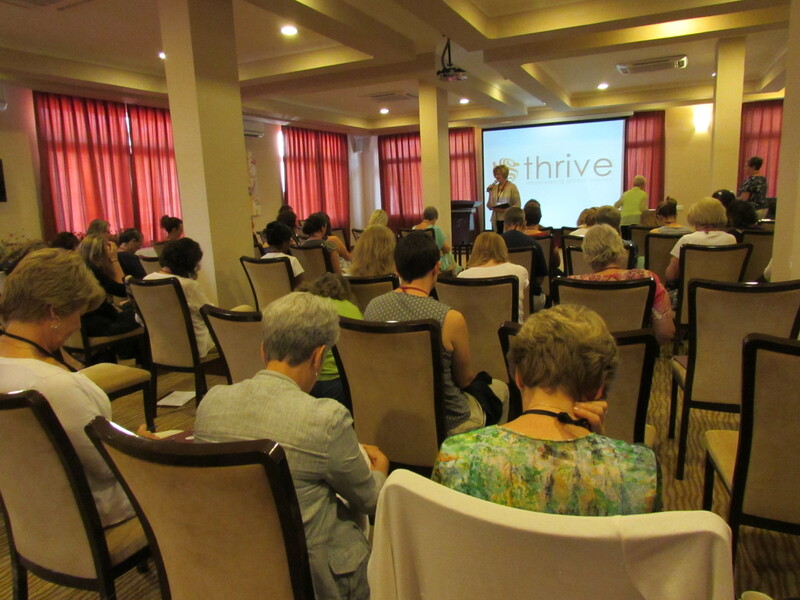 The Thrive purpose for reaching out to global women with a 4 day retreat in four different places in the world each year, is mainly focused on rebuilding, renewing and caring for women missionaries to help meet their needs spiritually while on the field. Thrive hopes they will not just survive, but thrive where they are and and do the work for the kingdom that they went to do. As you can imagine…as the saying goes, “If mom ain’t happy…” in this case…the missionary family may leave and go home. When most of us are unhappy, we have a lot of options. We can find support pretty easily. We have resources that those overseas don’t have. Let’s try to understand how we can support missionaries when they are on the field and when they come back to your town or mine. Let’s make sure we reach out and get to know them. Our friendship may be just what God uses.